Exciting, explosive and exhilarating. Paco Rabanne Pure XS For Her Eau de Parfum is a feminine, 'floriental' fragrance that captivates the senses with its blend of powerful, provocative accords. The seductive scent fuses aromatic Ylang-Ylang with pleasurable Popcorn and hints of sweet Vanilla to create an intoxicating olfactory experience. 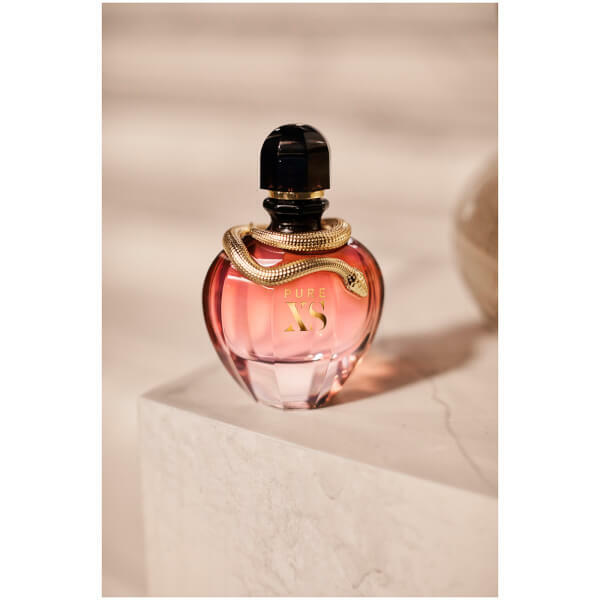 Housed in a sculptured glass bottle surrounded in a serpentine embrace, the perfume is perfect for the bold, intriguing female.